There are certain foods within the culinary world that promote a social experience. One of my personal favorites is chips and dip. Now I know what you’re thinking, “Chips and dip? That’s so mundane!” But they don’t have to be. The way I see it, dips are the life of the party; they can lead to many fun interactions as well as a full belly. In order to truly appreciate the greatness of chips and dip, one must look into the history behind the concept. Dips made their first appearances in cookbooks of the 1950’s. Before the existence of dips as we know them today, mayonnaise and mustard-based appetizers were popular spreads or hors d’oeuvres. The fifties provided the perfect ingredients for new recipes. At the time, potato chips had been around for almost a century, but thanks to the mass production of the salty snack by Herman Lay, they became common in households across the United States. In 1952, the Lipton Company innovated the original idea to combine their soup mixes with sour cream, creating a new, tasty, dip-able concoction. The last thing needed to start the chips and dip revolution was a reason for a finger food. People began to stock their home parlors with radios, magazines, comfortable chairs and eventually, televisions. Appetites were piqued by these sources of entertainment. Thus, finger foods that could be shared alongside viewing content, like chips and dip, grew popular. Dips themselves aren’t that complex; in fact, most are extremely simple, but that’s the point. While they certainly can be, chips and dip do not have to be a work of culinary art to taste delicious. The history behind them proves that they serve a deeper purpose. Dips have the ability to create bonds. In my opinion, a party isn’t great if it does not have dips laid out for guests, whether that means chips and salsa or some classic onion dip with veggies. You’re sharing the dip, the experience, and conversation with friends. Of course, nothing brings people together quite like food does. I was recently inspired by a friend to make a buffalo chicken dip. As a huge fan of anything buffalo, I knew I had to make one myself. I found a simple recipe online and got started. It was extremely simple to make. As much shredded mozzarella cheese and cooked chicken as you please! 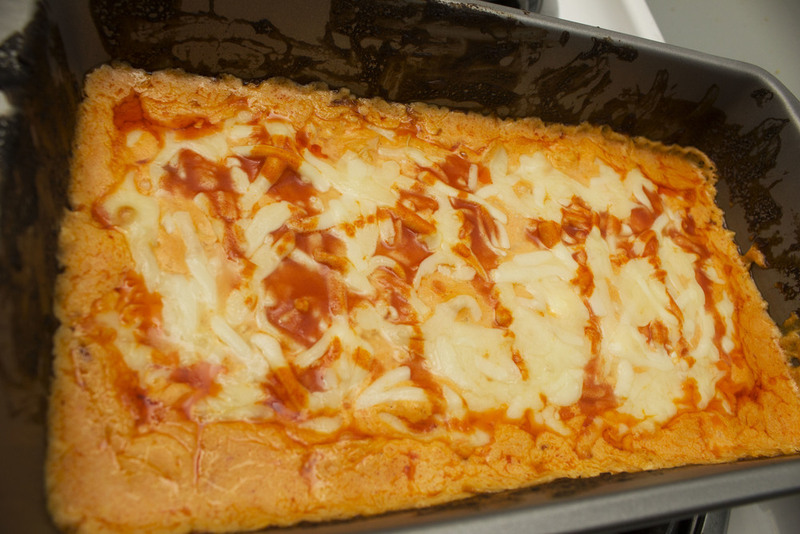 1) Combine cream cheese, ranch, hot sauce, and chicken in a baking dish. 4) Serve with chips and celery and you have a pleasantly spicy dip that tastes like a buffalo wing! Whether at a super bowl party, or in your friends brownstone just hanging out, chips and dip will provide entertainment and conversation, and even the possibility of new friendships--as long as you don’t double dip.